3619 Georgia Showing Signs of Development | Park View, D.C. 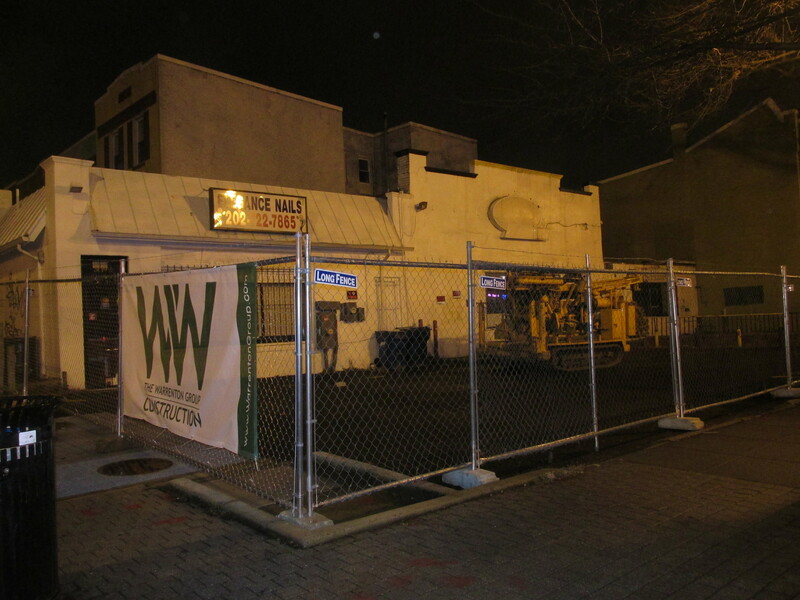 I noticed last night that 3619 Georgia Avenue, NW (on the corner of Princeton Place), is empty and the property has been fenced off. This generally indicates that development is about to begin. Readers may recall that a little more than a year ago the Warrenton Group unveiled a plan to redevelop a new 27-unit building on the site (detail here). 3619 Georgia was originally built as a gas station, so I’m a little curious if Warrenton will run into any environmental issues that will slow the development down. I guess we’ll find out once they get started. This entry was posted on December 23, 2015 at 8:01 am and is filed under Development, Housing. You can subscribe via RSS 2.0 feed to this post's comments. huzzah! Cant wait for this corner to be redeveloped. Onward and upward Park View!